Happy 2nd anniversary - celebrating the JOY of achievement! What makes YOU happy? If you can't instantly reel off a little list of things that can take the sting out of 'one of THOSE bad days' then maybe it's time to pause for thought. Life is a rollercoaster taking us from truly inspiring highs, to lows that can often stop us in our tracks. The infamous pursuit of happiness ... maybe it isn't quite as elusive as it sometimes seems to be! 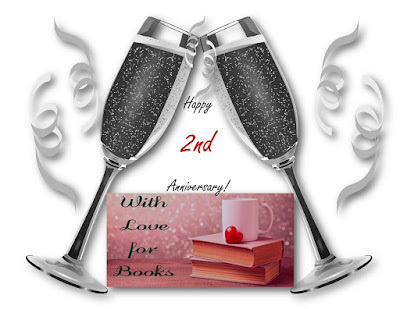 One of the quickest pick-me-ups, in my opinion, is the joy of achievement and celebrating with Suze and Anniek on the WITH LOVE FOR BOOKS' second anniversary is a wonderful example of that. With busy lives outside of reading, reviewing and running this awesome website, the amount of time invested means this is a passion. And when we are engaged in something we are passionate about it makes us feel good, because it matters and it’s something we care about. Of course, it's hard work but the bonus when achieving something is that it inspires a sense of pride. That 'I/we did it' moment. And Suze and Anniek keep on doing it! They have helped so many authors along the way and sent readers off to discover books they might not otherwise have seen. And in the process, they’ve created something of which to be very, very proud! Having diversity in our lives is important for a whole host of reasons. Not least because it makes us more rounded individuals but also to maintain a sense of balance. Juggling work, family and 'me time' (the time we spend doing something just to please ourselves) isn't easy, I know, but it's very necessary to our well-being. Of course, there are times in our lives when work, or family - or both - must be the main focus of our attention. People get sick, or have an ongoing health issue that takes priority, or maybe we're working hard to gain a promotion at work. But it simply isn't possible (or healthy) not to have something that will let you switch off and that temporarily takes you away from your day-to-day troubles. Even care-givers, who devote their lives to looking after other people (often loved ones) need a break. Happiness is a state of mind but being in that zone triggers a chemical reaction in our bodies that has a very beneficial effect. In the same way that living in a constantly stressed state can be very damaging to our bodies. A quick 'lift' to our spirits can be achieved by exercise, listening to music, having a weekend away ... the list is endless. I'm a writer and working on a new story is relaxation time for me. Yes, it's work, but that part of it lifts my mood and gives me a buzz. I'm able to switch off from everything going on around me for a while each day. There are other aspects of my job that cause stress, like deadlines and the editing process ... but when it comes to putting the words on the screen in front of me I've found my 'me time' indulgence. And that brings me back to WITH LOVE FOR BOOKS. It's a huge amount of work maintaining a website, putting out new posts, liaising with contributors, taking time to read and review books and to run competitions, but you can feel the love and the passion. And that's truly INSPIRATIONAL. And hard work pays off, because the hits keep on growing as people gravitate towards a website that is fun, lively, informative and a shining example of achievement. So, I'm raising my glass to toast this very special, second anniversary ... here's to a brilliant 2018 full of books, competitions and reviews! And if you haven't found your inspiration yet, keep looking. You'll know you've found it when you find yourself with a smile on your face and feeling you’re ready to face life's next challenge. Your batteries have been recharged and that inner glow will carry you far! 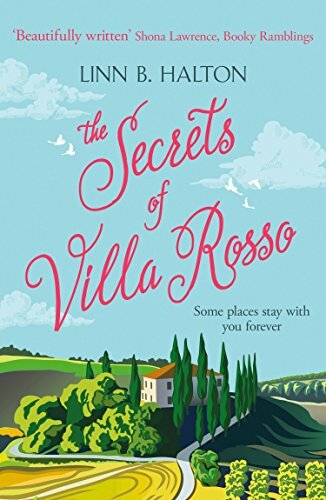 One very lucky reader of With Love for Books will receive a signed paperback copy of The Secrets of Villa Rosso. How very kind of you to honour Anniek and Suze by contributing to their anniversary with a guest post and a giveaway. Thank you. Ah, what a truly lovely thing to say - thank you! WithLoveForBooks have been there throughout my writing journey and they have become great friends to me. I think that's very special and I know they are well-loved in the blogging community. They work so hard and the website is a credit to that! You guys are amazing and thank you so much for commenting Elizamatt! Let's hope people remember to be kind and then it will be a wonderful 2018! Thanks so much, Bube! Thank you, Solange - and thanks for dropping by! This sounds great. I love romantic comedy. Hi Judy - thanks for popping in! It's more of a mystery with a light psychic touch, really. I do write romcoms, though. 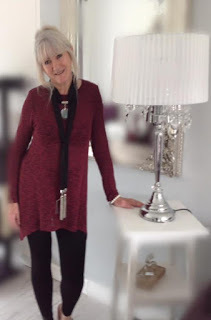 In fact I write everything from uplit, chick lit to women's contemporary - I like to switch it up ha! ha! Happy 2018 to you! I would love to visit Italy via this book! I've been three times, John, and hope I've managed to capture the heart and soul of it! Aww ... that's such a lovely thought! Good luck, Sue! Well, I think we could all do with a good dose of sunshine at the moment, Ruth. We've just had a sprinkling of snow in my neck of the woods - the Welsh valleys! Aww ... you just made my day, Angela, thank you so much! I should be finishing off book 13 today but wanted to pop in here, first. I hope 2018 is a wonderful year for you and your family! So lovely of you to say that, Ellen! Good luck and happy 2017! Happy 2nd anniversary ladies. Big fan of Linn. Ah, thank you, Leila! That two years have flown by - but I've known these awesome ladies for a LOT longer! Thanks for popping in! What a wonderful combination - one thing I have always wanted to do is play the piano! When I was very young I had a few lessons and could play a few bars of 'Moonlight Sonata'. But musicians are born and blessed, sadly it's not a skill I have! Happy 2018, Mary! Beautiful cover, even if you hadn't read the title or the verb about the book you would have realised you were going to be transported to Italy. Can't wait to read it. Unfortunately the closest I've been to Italy is to eat at an Italian restaurant in London but that was fabulous. I'm so excited to read this book. I love this author. I couldn't have put it better - Suze and Anniek are an amazing team and their blog is a treasure trove for everyone who loves to read and discover new books. That said, I love cozy feel-good books so I'm certainly curious about your novel. Really looking forward to reading this book, it sounds great! I love that Linn focuses on the 'feelgood factor.' I love a good thriller, but sometimes you just need a great big hug of a book. Beautiful post! I love this blog & have been introduced to many new (to me) authors because of it. I do love secrets! - Michelle Wild. Such a great guest post, so thankful for Suze and Anniek! I added The Secrets of Villa Rosso to my TBR, I love the idea of escaping to an Italian villa! This sounds like a wonderful book with a great cover. I truly enjoyed this guest post and I agree that a lot of work and passion goes into this blog. My Me-time is working on the cross-stitch Advent calendars I make - I've made 7 for my own children and so far am on the one for my 7th grandchild. They do take a long time but they all seem to like them a lot. My other passion though is reading and that really is relaxing and when my hands don't want to hold the needle anymore I turn to reading for Me-time. :-) I believe that everyone should just take a few minutes to be thankful for what they have and just feel happy in the moment.